For more than a century, however, these recordings have been held hostage by an obscure format, which has rendered them silent. But now, thanks to a $315,000 grant from the National Endowment for the Humanities, two UC Santa Barbara researchers will bring them into the 21st century through the Edison Disc Recording Access Initiative. 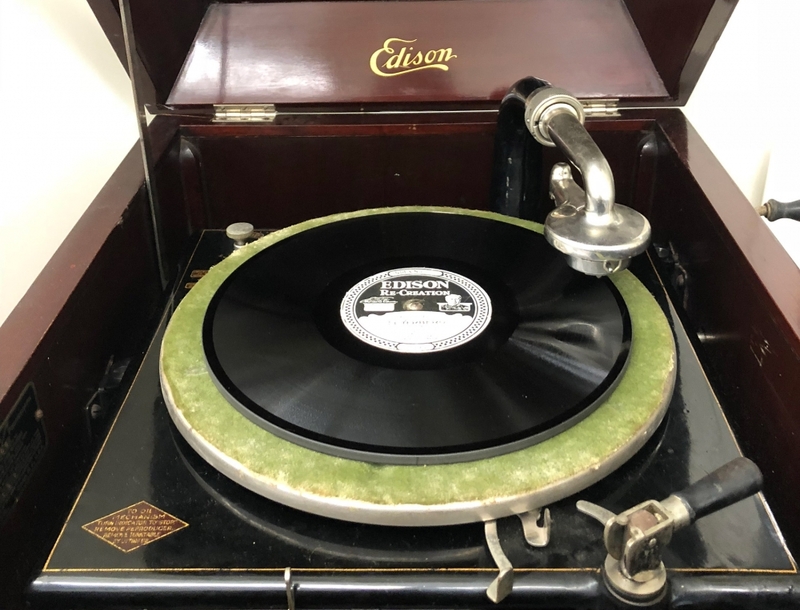 Part of UCSB’s Discography of American Historical Recordings (DAHR) program, the project involves digitally transcribing and editorially describing a large part of the celebrated American inventor’s Diamond Disc recordings. “Here’s a body of our early 20th-century culture that’s become trapped in this difficult format,” said David Seubert, director of the UCSB Library’s American Discography Project (ADP). The Edison discs were not as widely disseminated as were traditional shellac 78-rpm discs, he noted, and therefore aren’t as well known by contemporary scholars or the public. The digitization process is especially critical because of the discs’ fragility. For example, their dense cores are composed of a wood compound and exposure to moisture could cause irreversible damage. 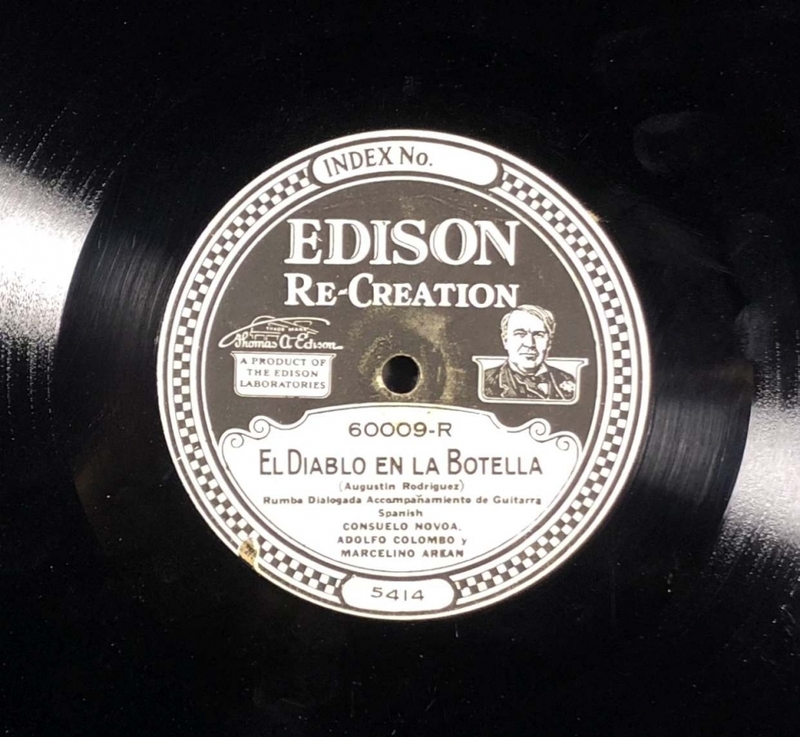 The Edison Disc Recording Access Initiative will result in comprehensive documentation and description, including streaming sound files, of Edison company activities between 1912 and 1929. Information will be made available about 14,000 or so Diamond Discs made by Edison. Roughly 9,000 of the recordings issued on Diamond Discs will be digitized and subsequently accessible through the DAHR, as well as through the Library of Congress’ National Jukebox. Samuel Brylawski, manager of the ADP and with Seubert, a co-principal investigator on the Edison project, will assist with researching, writing and editing the descriptions. Based in Washington, D.C., Brylawski oversaw the Recorded Sound Research Center for the Library of Congress before joining UCSB. “Our aim is to allow fellow researchers and the public to hear the recordings and understand their context,” he said. The collection is diverse, including everything from the Henry Ford square dance ensemble and other music to myriad children’s stories and skits. As Seubert noted, the Diamond Disc catalogs of the 1920s included 16 distinct ethnic series, each devoted to a language or ethnic group. The DAHR database, of which the Edison project is part, is recognized internationally as the most comprehensive and authoritative discographic resource available on the internet or in print. Nearly 175,000 recording masters from five major American recording companies of the 78-rpm era are currently documented online. The discography is intended to be of value to cultural historians and those in the emerging scholarly field known as “sound studies,” in which analysis of sound recordings informs studies of immigration, regions, race, class, marketing and the history of technology and its effects. UCSB’s DAHR can be found at http://adp.library.ucsb.edu.